The undisputed authority in terms of South African wine is the Platter's South African Wine Guide. The 2015 Platter's South African Wine Guide was just released. I have traveled in South Africa many times in the past 3 decades, in particular during the period 1989 to 1992, when I used to live in Madagascar. When traveling in South Africa today, it quickly becomes evident that apartheid is resting in the dustbin of history. South Africa’s current President is the Zulu Jakob Zuma, who is mired in personal and political controversy. The Txosa Nelson Mandela, who had spent more than 25 years in prison during apartheid, was President in the 1990s and is now a revered elder called "Madiba" ("Papa"). South Africa successfully hosted the Soccer World Cup. The Soccer World Cup was hoped to provide a boost to the tourism industry; but indications are that the expected boost did not materialize, at least not fully. The gap between the haves and have-nots continues to be wide, but is narrowing and a black middle class is emerging. This, however, is not so much evident in the wine region, which continues to be dominated by the whites. 99% of the vineyard area is in the hands of whites. The AIDS pandemic is taking a toll with the HIV infection rate at about 10 percent, though declining. South Africa's well-known Platter's Guide announced its favorite wines for the year 2015 during an opulent evening at the Mount Nelson hotel in Cape Town on October 27th, 2014. The guide, which was originally published from 1980 by John and Erica Platter, offers wine enthusiasts a good cross-section of available wine producers across the country, rating commendable wines using a star rating. Additionally, the guide includes awards such as the Winery of the Year, Red Wine and White Wine of the year and features 50 five star wines. Swartland-based Sadie Family Wines is the Guide's Winery of the Year for a historic second time. The winery first took the honor in 2010 and it is the only winery to emerge from this year’s stringent judging process with three maximum five star ratings for the 2015 edition of Platter’s. De Trafford Blueprint Syrah 2012 was named Red Wine of the Year, and DeMorgenzon Reserve Chardonnay 2013, is celebrated as the White Wine of the Year. The 2015 guide features 50 five star wines, with nine wineries achieving five stars for the first time: Creation Wines, Crystallum, Diners Club Bartho Eksteen Academy, Fram, Iona, Oldenburg, Porseleinberg, Stellenbosch Vineyards/Flagship and Sumaridge. The first stop of the German South Wine Tour by ombiasy (2014), which took place from September 14 – 20, was at Schloss Neuweier in the small village of Neuweier in Baden, close to the spa-town Baden Baden. We had an exciting wine tasting luncheon at the 1-star Michelin restaurant of Chef Armin Röttele, with the owner and winemaker of Weingut Schloss Neuweier, Robert Schätzle. Chef Armin Röttele prepared an amazing “menu di passion”. His wife Sabine Röttele was our host. And Robert Schätzle paired the menu with his top wines and commented on them. (1) Röttele's Restaurant and Weingut Schloss Neuweier are both part of the wonderfully restored, historic castle Schloss Neuweier, where wine has been made for centuries. (2) The castle belongs to the few historic buildings from the 12th century that still exist. (3) Die Ritter von Bach were the first who started planting vines and producing wine. All subsequent owners showed interested in winemaking. (4) Its current shape took the castle, when it was owned by Philipp Kämmerer von Worms, called von Dalberg. During 1548 to 1549, this gentleman created the castle as you can see it today. To remind everyone of his creation he put in the entry portal: Zeyt bryngt Rosen – Time brings Roses. (5) In 1615, the castle was passed onto the second daughter of Philipp von Dalberg, whose husband was Wolf von Eltz and Knebel von Katzenellenbogen. Katzenellenbogen was a high ranking knight who fought under the rule of the Archbishop of Mainz. He also was an important person in terms of winemaking at Weingut Schloss Neuweier. He brought his knowledge from the Franken area, the Bocksbeutel bottles and the Niersteiner and the Laubenheimer grape varities, which replaced the traditional Elblinger and Ortlieber. (6) During the 19th century the castle changed its owners quiet frequently. From 1869, the Rößler family from Baden-Baden became the owner of the castle. The Rößler family is responsible for the Mauerberg vineyard gaining international recognition. (7) Until recently, the driving force behind Schloss Neuweier, including Weingut Schloss Neuweier, was Gisela Joos. She and her husband, a well-known architect from Frankfurt am Main, took over the castle, including the winery, in 1992 and invested around Euro 50 million in the castle, including the winery. What you see today is essentially due to their efforts and money. In 1999, Weingut Neuweier was admitted to the prestigious VDP association, when Gisela Joos was in charge. (8) Today, the “Schlossherr” (owner) of Schloss Neuweier and the winemaker at Weingut Schloss Neuweier is Robert Schaetzle. His family acquired the estate in 2012. The senior management of the winery of course changed with Robert taking over. The already high quality level of the wines was definitely maintained if not increased by Robert Schaetzle. The Joos family is still living in the castle, but on a lease basis. During the period when the Rössler family owned Schloss Neuweier, a “Besenwirtschaft” (basic wine tavern, where the winemaker sells his own wine) was opened at Schloss Neuweier. Over time, that basic tavern developed into a fine dining restaurant. Armin and Sabine Röttele took over in 2005. A year later, Armin was awarded a Michelin star. Today, Röttele’s Restaurant at Schloss Neuweier is one of the best restaurants in Germany. 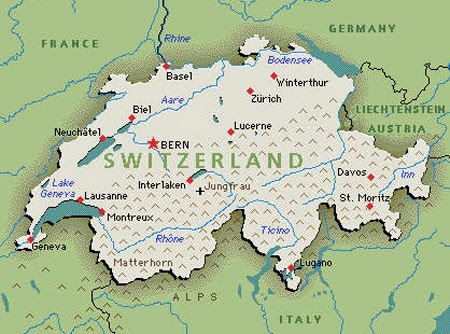 Sue Style: Expect deliciously pronounced southern accents (the chef spent years in Switzerland’s Tessin before returning here to his roots), intense flavors and colors, silken home-made soups and pastas, toothsome vegetables, locally raised meat and game. Chef Armin Röttele suggested an amazing "Il menu di passione", complemented with Weingut Schloss Neuweier wines. Robert Schätzle supplemented these wines with another half a dozen Weingut Schloss Neuweier wines, some of which where not yet bottled (and thus did not have a proper label). Thank you Sabine, Armin and Robert for the great time we had at Schloss Neuweier. 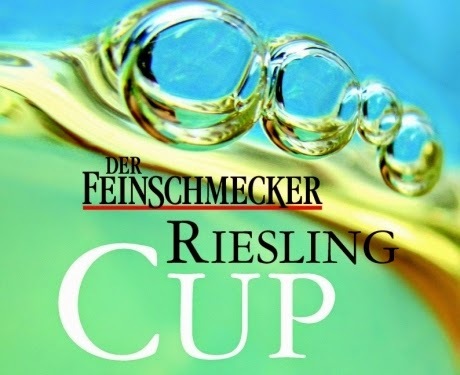 The results of the Feinschmecker Riesling Cup 2014 - Germany’s Best Dry Rieslings - were announced. The Feinschmecker Riesling Cup 2014 went to a producer in the Pfalz: Weingut Weegmüller in Heustadt-Haardt for: 2013 Weingut Weegmüller, Der Mineralische, Riesling Kabinett trocken. Already 15 years ago, Weingut Weegmüller won the Feinschmecker Riesling Cup (for its 1998 Weingut Weegmüller, Haardter Herrenletten, Riesling Spätlese trocken). Weingut Weegmüller is owned and run by two charming and entertaining sisters, Stefanie and Gabriele Weegmüller. The Weegmüller sisters and their winery are well established in the German wine scene; Gault Millau gives them 3 (out of 5) grapes. On both the Germany Wine Tour by ombiasy (2013) and the Germany-South Wine Tour by ombiasy (2014), we stopped at Weingut Weegmüller and had a wonderful tasting with Steffi and Gabi. Runner-up was Weingut Fritz Haag from the Mosel with: 2013 Weingut Fritz Haag, Brauneberger Juffer Sonnenuhr Riesling GG. Weingut Fritz Haag, currently owned and run by Oliver Haag, is a world class producer from the Mosel, with 5 (out of 5) grapes in the Gault Millau. Interestingly, Weingut Fritz Haag is known for its fruity-sweet and noble-sweet, low alcohol wines. But Oliver also knows who to make ultra-premium dry Riesling. 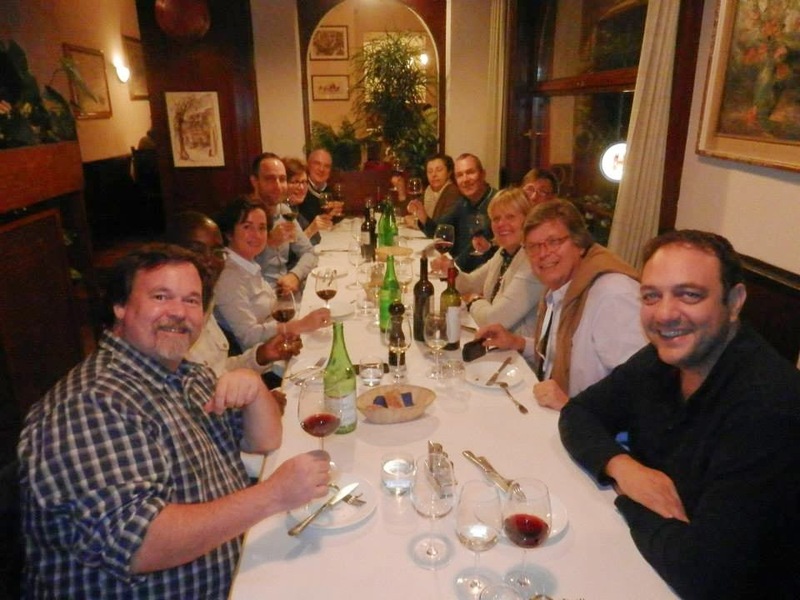 As part of the 2014 Digitul Wine Communications Conference in Montreux, Switzerland, I explored the wines of Ticino during a post-conference press trip. This is the third of a series of postings (see below) emanating from my visit of Ticino. It is the first posting that does not focus on wine, but on food – polenta. Switzerland has an extensive range of grape varieties. Among the white grapes, the Chasselas is the most widespread. Müller-Thurgau, cultivated above all in the German speaking part of Switzerland, and Sylvaner are also popular. The main red grape varieties are Pinot Noir, which can be found in all the wine-producing regions of Switzerland, and Gamay, which predominates in the Valais; Merlot has found a second home in the Italian speaking part of Switzerland, the Ticino. Ticino is a quite distinct winemaking zone in Switzerland, totaling 1000 hectares. The canton Ticino (and the wine region Tecino) is divided into two regions by the dividing line of the Monte Ceneri Pass: Sopraceneri in the north and Sottoceneri in the south. The Sopraceneri soils are rather stony with a full complement of silt and sand, while the Sottoceneri soils are limestone and deep, rich clays. Ticino's climate is Mediterranean. There are a total of about 3600 grape growers in Ticino and 200 or so winemakers, including a co-operative. The 200 or so winemakers range from pure negociant-type producer (who buy all the grapes the use for their wine) to winemakers that only use their own grapes for making wine. Vineyards are generally small, steep plots of between 3 ha and 6 ha and yields are at 70 hl/ha. 15 winemakers account for about 80% of the total production. The co-op produces 1 million bottles annually. Merlot is the dominant grape variety. The Ticino Merlot ranges from easy drinking, including white, Merlots to ultra-premium Merlots that can compete with the best in the world (including Bordeaux) and cost US$50 to US$150 per bottle. In an interview, winemaker Guido Brivio, Brivio Vini SA and Gialdi Vini SA, was asked: What traditional dishes would you recommend to drink with your wines? His answer: Polenta and risotto are traditional dishes. We have a north Italian culture here. What restaurants do you recommend in the region? If you want rustic food then the tavern, Grotto Bundi (grottobundi.com), located on a road full of ancient wine cellars, is a must. Grotto serves the best polenta in the world, in my opinion. 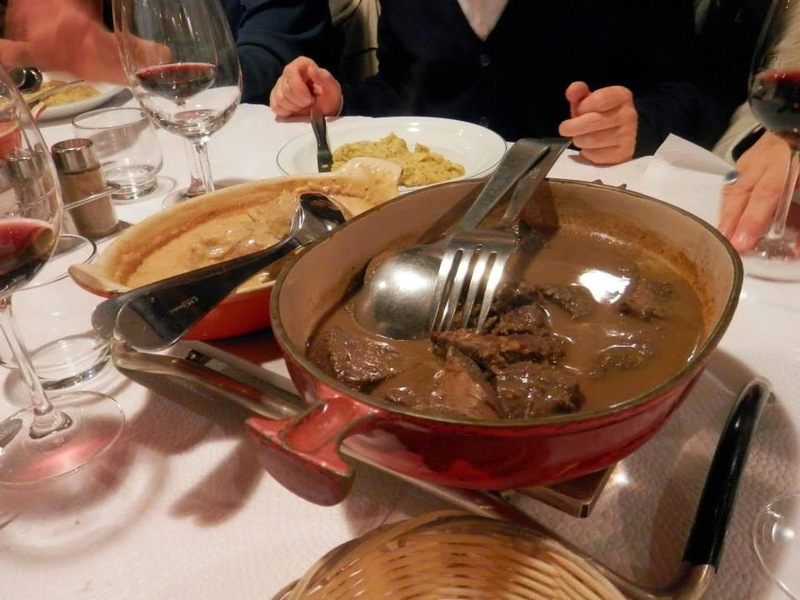 In fact, after the tasting with Guido Brivio, see here: Touring (and Tasting the Wines of) Brivio Vini SA and Gialdi Vini SA in Mendrisio, Ticono, with Guido Brivio, Switzerland, we were treated to a fabulous Polenta Dinner at Grotto Bundi. Brivio Vini SA and Gialdi Vini SA are operating as a pure negociants-type winery under the same roof and management in Mendrisio. Together, they buy fruit from 400 farmers operating on 100 ha of land in the region and produce 100.000 cases. thegreedyantgourmet.com: The word “polenta” has Hebrew, Greek and Latin (pulmentum) origins. Since the most ancient times, people have eaten some form of ground grain cereal (originally made from wheat, barley, millet, spelt (farro) or buckwheat), cooked in water or milk. In some areas of Italy polenta was prepared using course chestnut flour or flours made from dried legumes, such as fava beans, chickpeas, or cicerchia - a cereal similar to chickpeas but with a sweeter, earthier flavor still common in central and southern Italy. These different types of polenta, as alternatives to bread and pasta, have been basic to the diet of rural populations for centuries. Beginning in the late 16th century - after the introduction of corn in Europe from the Americas (where it was known in Peru as “mahyz”) - polenta made from corn became the main source of nourishment for farm families in northeastern Italy. The importance of polenta in the everyday diet of northern Italians - especially in Veneto and Lombardy, where the climate and soil are well suited for the cultivation of corn cannot be overstated; historically, polenta has been as essential to the diet of northern Italians as the potato has been for the Irish and Germans. To this day, polenta is mainly associated with northern Italy and is a beloved element of the now celebrated “cucina povera” - meaning the “humble food” of Italian cuisine. For many northern Italians - particularly those who immigrated to South and North America - polenta evokes memories of family, warmth and winters around the fireplace when polenta was cooked in the paiolo - a copper pot used exclusively for the making of polenta. Venetians in general, but also gourmands and people that love good regional food, still appreciate this wonderful way to accompany an infinite number of regional recipes - from Fegato alla veneziana (a delicious recipe based on veal liver and onions) to Baccalà alla vicentina (a unique stockfish recipe) to the various pasticci (a culinary term meaning a “delicious mess”). Here is a polenta recipe that you can find on the web site of Grotto Bundi. ½ liter of water for one person. Procedure: Put a pot with a thick bottom and a lid on the burner. Salt water, when it starts boiling take it away from fire and pour flour using the whisk , paying attention not to form lumps. Put on the large burner until polenta starts boiling again. When boil lessens and the first “vapor volcanoes” appear cover with lid and finish cooking with low temperature for at least 45 - 60 minutes. You can cook it longer if you want: the longer it cooks the more it’s good and digestible. If polenta remains too firm add a little boiling water.